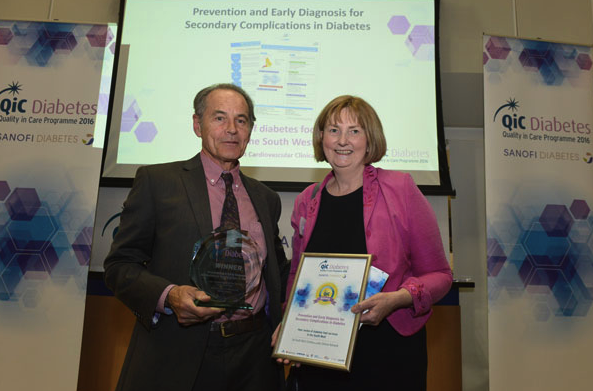 The deadline to enter this year’s Quality in Care (QiC) Diabetes Awards which celebrates innovative practice in diabetes management is looming. Those who wish to submit an entry have until Friday, May 26, 2017. Now, in its seventh year the annual event recognises initiatives which have been highlighted by the NHS, patients and the industry as improving the quality of life for people living with the condition. The aim is to highlight the benefits and adaptability of entrants’ initiatives to a wider healthcare audience, including presenting at next year’s annual Diabetes UK Professional Conference. Further dissemination opportunities include webinars, newsletters, workshops and the communication channels of QiC Diabetes partner Sanofi and programme supporters. Entries are invited from anyone working in the diabetes arena in the UK and Ireland. Whatever the area of patient care and/or diabetes service delivery, if the initiative or programme relates to diabetes in any way, they are encouraged to enter. Judges are keen to review a wide spectrum of entries and to recognise the innovative practice that is out there. Professor Jonathan Valabhji, the national clinical director for obesity and diabetes at NHS England, said: “QiC Diabetes provides a great opportunity to celebrate, and learn from, new ways of working to drive up quality of care.